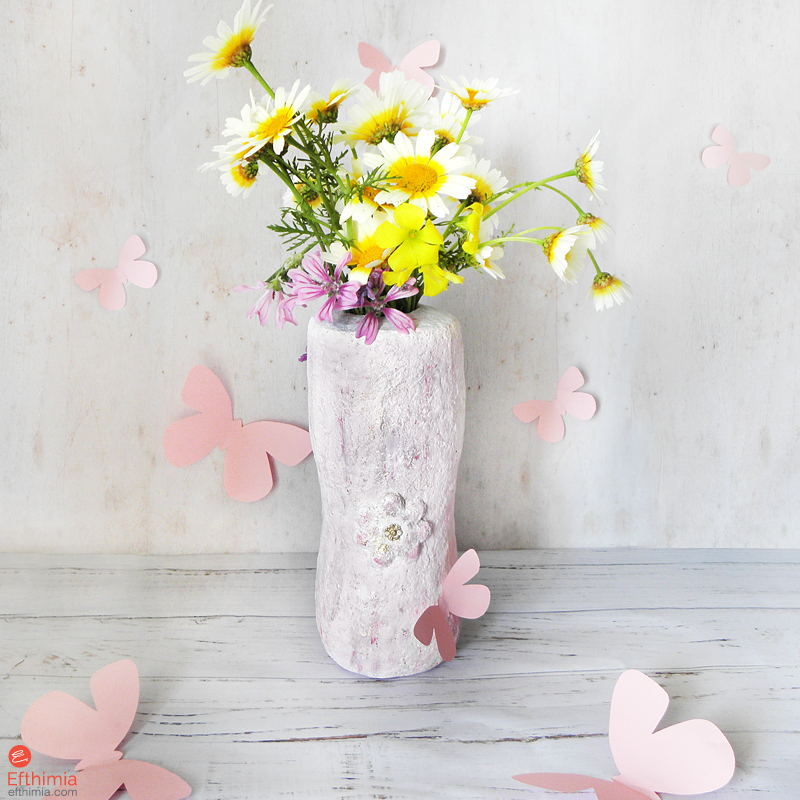 Efthimia: Recycled flower vase for spring! 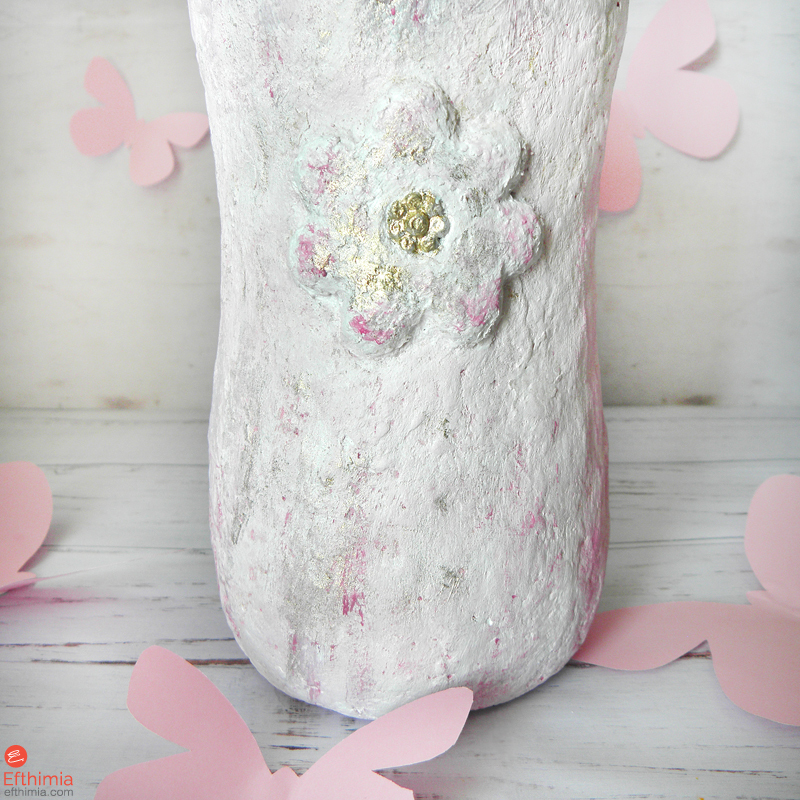 Recycled flower vase for spring! 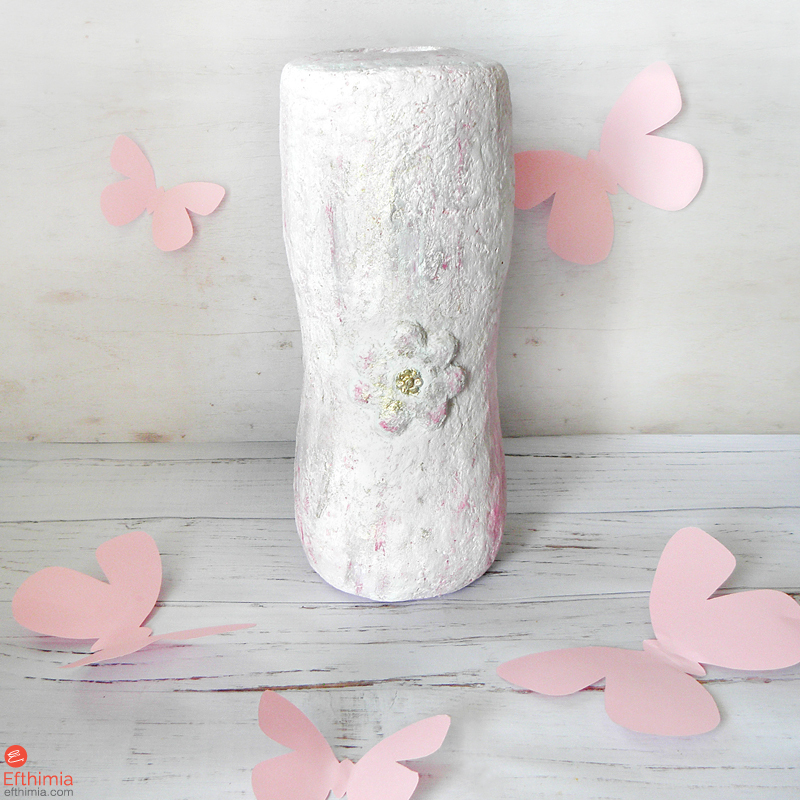 A handmade paper mache vase for spring! A recycled flower vase, which is sculpted by hand (using my handmade paper pulp) over recycled materials, a plastic bottle, and a small glass vase so that can it can be used with water. 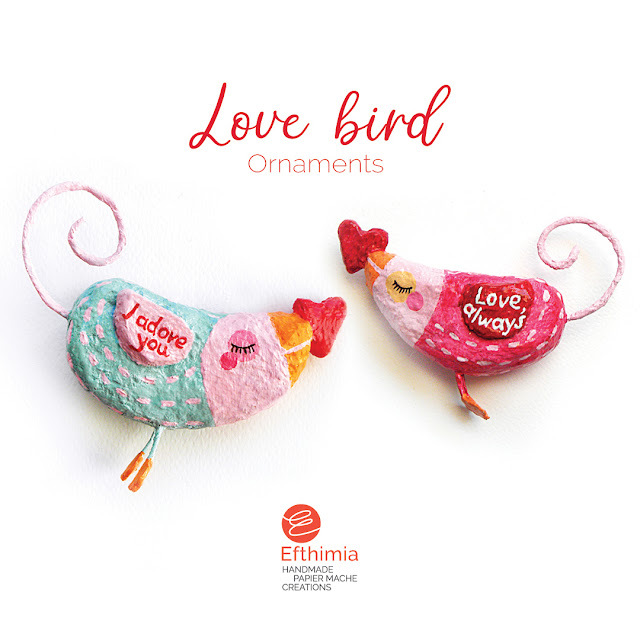 On the front and on the back is decorated with one flower sculpted by hand also. The center of each flower is decorated with small beads which are painted. The texture of the vase is a little bit rough and the colors (white, pink, gold powder) are mixed each other giving a "grunge" effect. 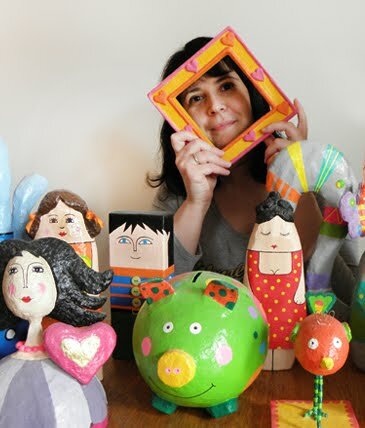 A unique gift to decorate every corner of your house.